At default, both Velocity and the Mod Wheel are set to control the vibrato amount. To change this, simply click the menu at the lower left of the interface. If you choose to use the mod wheel, you can further customize the sensitivity by drawing your own curve. 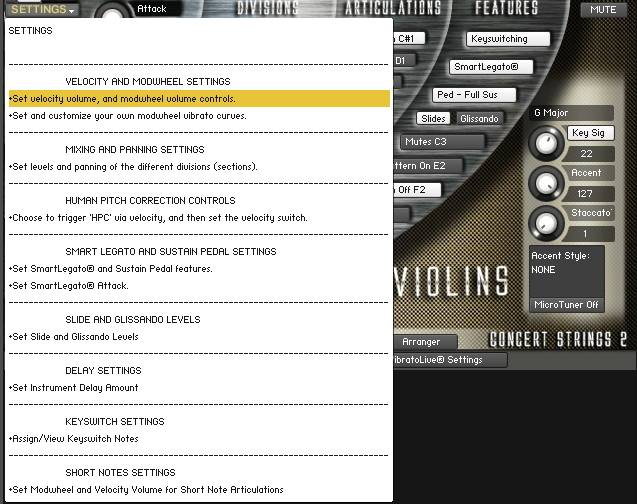 There is also a "VibratoLive" feature that will automate the vibrato for even more realism. 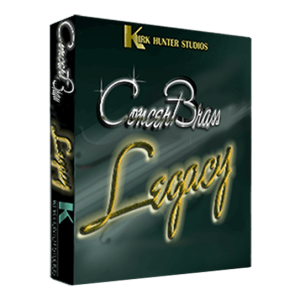 Unlike most other string libraries where you have to choose either velocity or MIDI CC to control volume, Concert Strings Legacy enables you to use either to varying degrees. Samples recorded with "hpc" (human pitch correction) sound very "real" especially during medium and fast phrases. This is due to the fact that when strings players play, sometimes, they are likely to be slightly out of tune at the beginning of each note. However, this is a desired effect. Without it, the result can sound rather sterile and "flat" and even "synthy". With this new HPC control, you can turn on or off the hpc feature, or use it variably above certain velocity points. 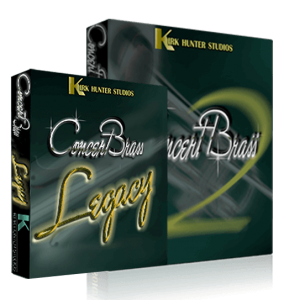 The Concert Strings 2 library is designed for ultimate musical expression, playability and flexibility. Our biggest objective when putting this collection together was to give you something that sounds good RIGHT NOW, out-of-the-box without wasting a lot of time tweaking, and to give you the fastest workflow possible. 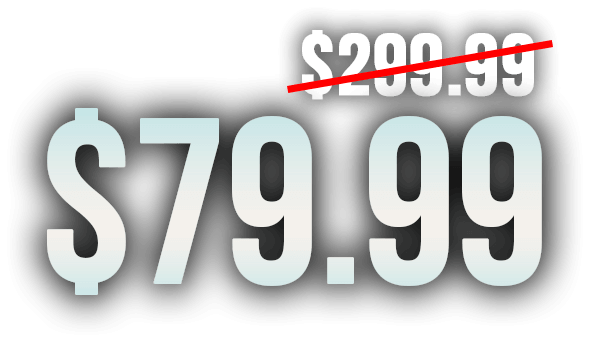 You will not find a better sounding, more playable and easy to use 32GB string library at this price. This library was recorded in Hollywood, California, and done so quite "dry" so you don't have to worry about having too much ambience in the samples. With Concert Strings 2, you're not limited in the size of the section. You get 4 different sizes ranging from solos, to a huge symphonic section. And of course, you can easily blend them to get your own personal sound. 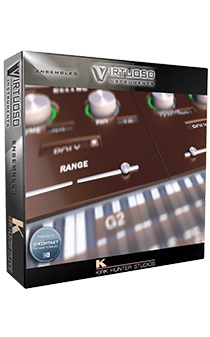 Kontakt version - full version of Kontakt 5.4.1 (not the "player" version) or newer. 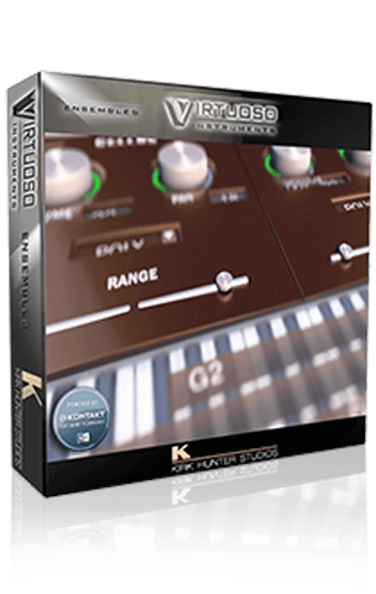 Virtuoso Ensembles - A full orchestral library designed for immediate, full-range playing and sketching. Ensembles contain 4 sections each where you can control the range of each section independently. 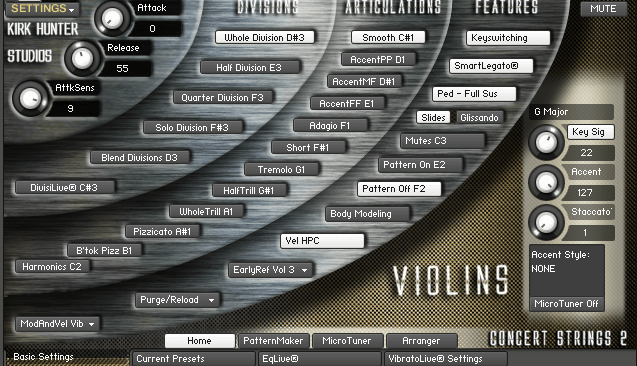 For example, the Strings patch includes violins, violas, cellos and basses layered on top of each other. You can then easily control each of those sections' ranges. 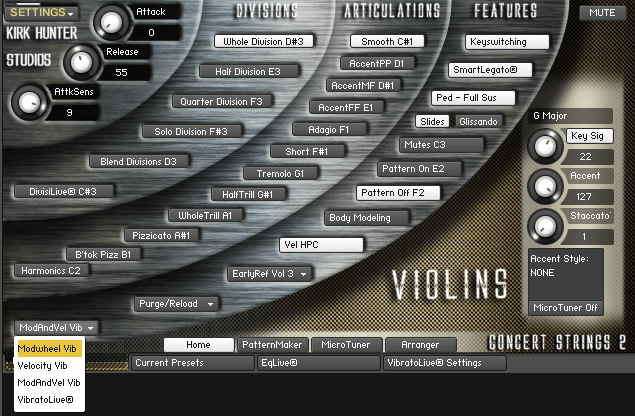 Concert Strings 3 - You can create sections ranging in size from 4 - 16 players. You can control EACH player's volume, panning. 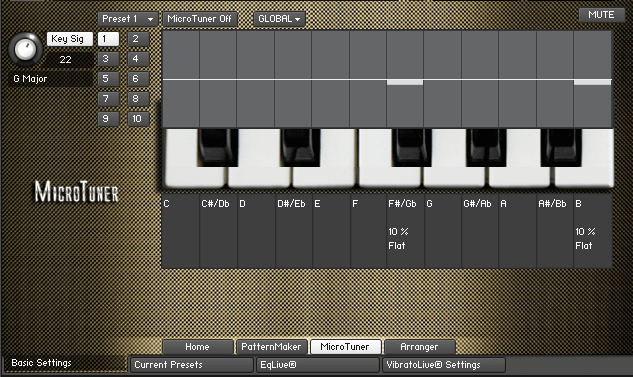 Instruments are programmed for medium to larger ensemble sounds. Full vibrato control. Chamber Strings 3 - You can create sections ranging in size from 2 - 4 players. You can control EACH player's volume, panning. Instruments are programmed for smaller ensemble sounds. Full vibrato control. 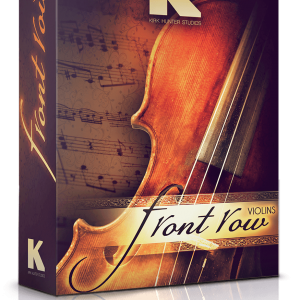 Spotlight Solo Strings - You can create sections ranging in size from 1 - 4 players. You can control EACH player's volume, panning. 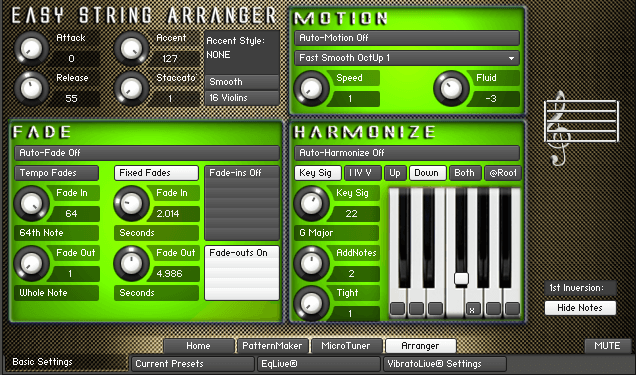 Instruments are programmed for a soloist sound. There is a bonus "ripieno" feature that allows you to add an ensemble behind the soloists. Full vibrato control. Concert Strings 2 - You can choose 4 different section sizes - "Whole", "Half", "Quarter", and "Solo". Recorded in a rather "dry" space. Includes Easy String Arranger programming. 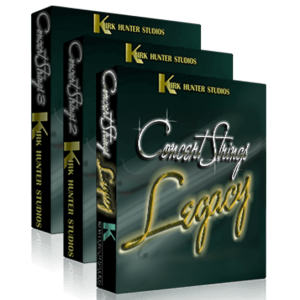 Concert Strings Legacy - The best string sections included in the Diamond Symphonic Library. You can choose 4 different section sizes - "Whole", "Half", "Quarter", and "Solo". Recorded in a rather "dry" space. Includes Easy String Arranger programming. 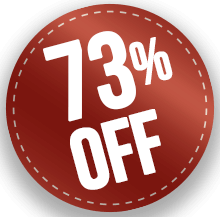 Pop Rock Strings - Created from the most usable samples of Concert Strings 2. 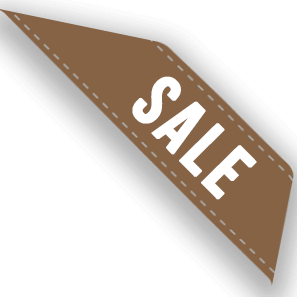 You can choose 4 different section sizes - "Whole", "Half", "Quarter", and "Solo". Recorded in a rather "dry" space. Programmed for more "pop" and "rock" music. Includes Easy String Arranger programming. Concert Brass 2 - You can choose 4 different section sizes - "Whole", "Half", "Quarter", and "Solo". Recorded in a rather "dry" space. More "elegant" and "round" than the brass in Diamond. 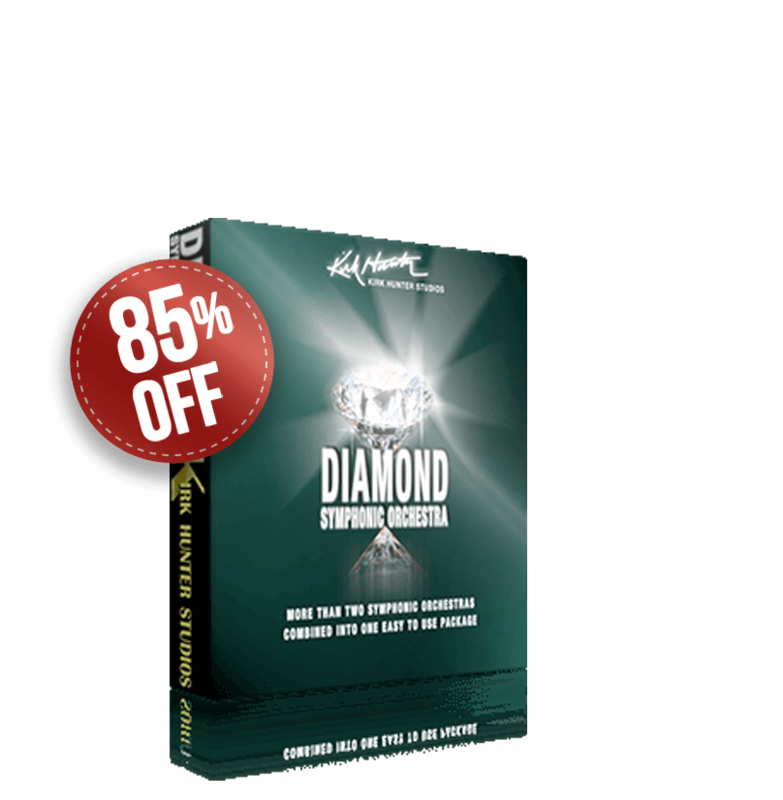 Diamond - Two (2) string and brass orchestras with included woodwinds and percussion. For strings and brass, you get "Symphonic" and "Concert" for larger sections, "Studio" and "Chamber" for smaller sections, and "Solo". In newer programming (TVEC3, TVEC4) you can choose 4 different section sizes - "Whole", "Half", "Quarter", and "Solo". Most samples were recorded in a large space. Solo Strings 1 - Included in Diamond. 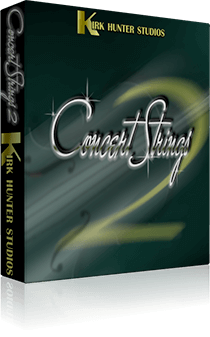 Solo Strings 2 - Included in Concert Strings 2. 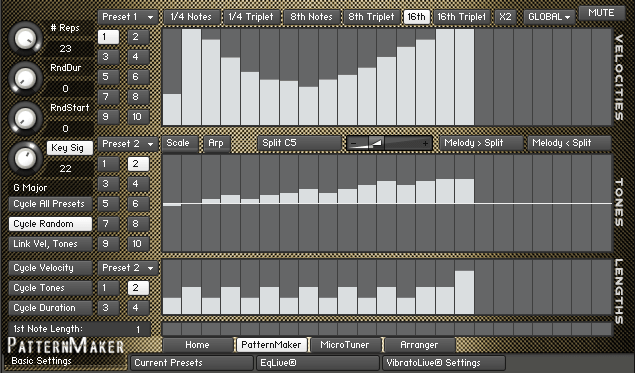 Samples have more velocity layers and notes than in Solo Strings 1. Bruce Miller – Composer/Arranger Frasier, Designing Women, The Odd Couple, and more.